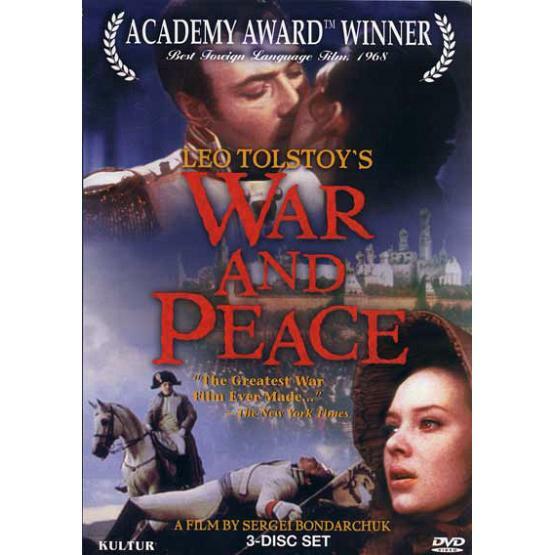 "War and Peace" (1967) is an Academy Award-winning movie based on the eponymous epic novel by Leo Tolstoy. Directed by Sergey Bondarchuk. Starring Lyudmila Savelyeva, Vyacheslav Tikhonov and Sergey Bondarchuk. Consists of 3 DVDs. TV system: NTSC. Language: Russian. Subtitles: English.